The Expo is Ohio’s largest marketplace of products and services for libraries. 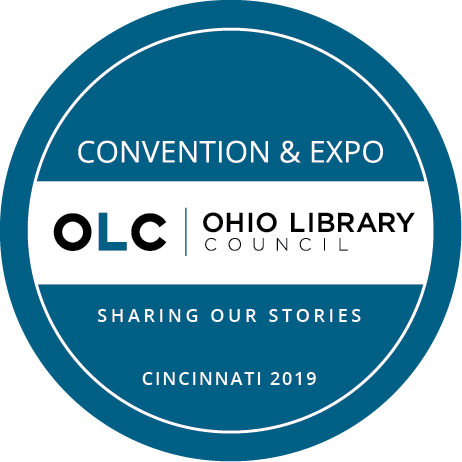 It is held in conjunction with the OLC Convention which draws more than 700 public library administrators, trustees and staff. With special events and a wide range of activities, the exhibit hall is the place for attendees to check out new products, talk with vendors, meet emerging authors, and explore peer poster sessions. This event gives you a diverse audience of library professionals, from libraries all sizes and from all areas of the state. Don’t miss this is opportunity to reach key decision-makers and demonstrate the value of your products and services. Space is assigned upon receipt of the contract and 50% deposit. Fern Exposition and Event Services will provide you with a service kit after the contract and deposit are received by OLC. To reserve your booth space, contact Sandy Diosy at 614-410-8092 x. 101. 11:30 a.m. — 3:00 p.m. NOTE: Blocks of exclusive viewing time for attendees have been built into the Convention and Expo schedule. Advertising Opportunities: Contact Jason Gandee for details on advertising on the mobile app and in the on-site program. Sponsorship Opportunities: Contact Lori Hensley for details on event sponsorship levels.